Before shooting weddings, I had no idea how intrusive my phone could be, and I still don’t know what I look like when I’m hunting for the perfect framed shot, with my camera at eye level. However, I know how other people look. And it is terrible. 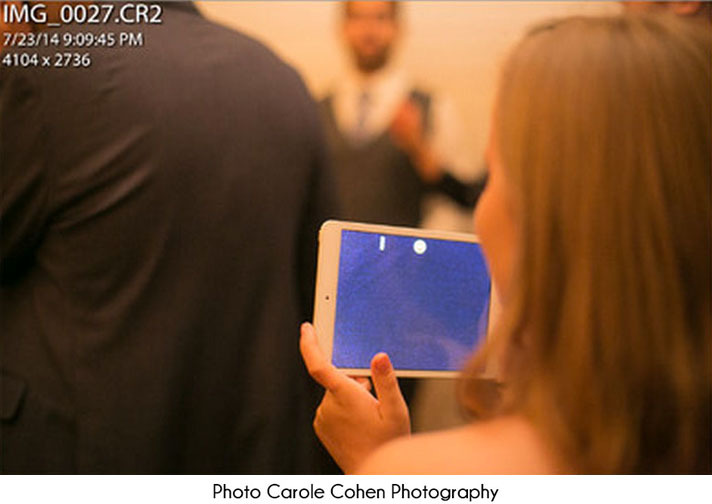 From my photographer side, a wedding ceremony feels like a mine field with little camera-shaped land mines ready to jump in the middle of the aisle, right in front of me, and ruin my shots. With unplugged wedding ceremonies you can be sure that your most important shots, from your father kissing you on the cheek to your first kiss as a married person will be caught on camera, clear, in focus and beautiful. It also means that your guests will be looking at you and take in all the emotions with no filter between you and them. Unplugged ceremonies are more and more common and many articles are available online about them, but here are a few easy ways for you to nicely tell your guests to not use their electronic device. Something positive, written in cute letters will not feel too strict: “Please, the bride and groom request the joyful sight of your smiles without the distraction of any electronic devices or cameras”. You can find many ideas on Pinterest and Etsy. Same principle as the board. Write something cute, even a bit more informative if needed. The more your convey the message, the more people will get it. Let the officiant do the job! 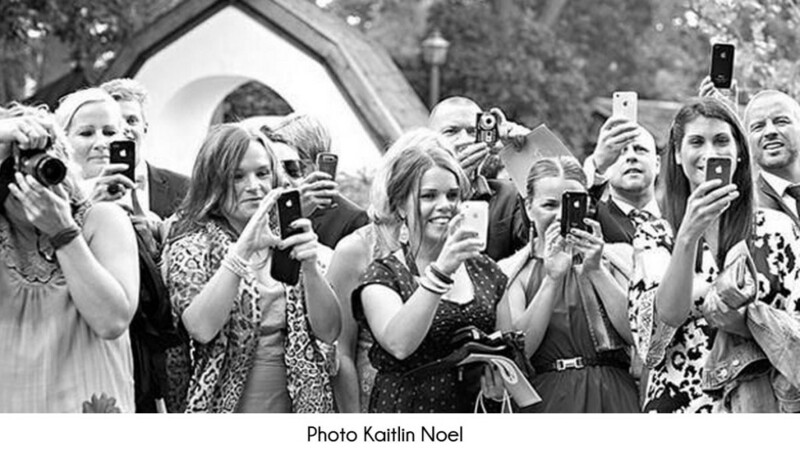 In my personal experience, nothing has been more efficient than having the officiant ask people to put their phones and cameras away. When said in public, right before the groom and bride walk don the aisle, it seems to sink in more. Now, it is up to you. Some couples decide to have guests take pictures and everything turns out fine. It gives them the opportunity to have pictures of their wedding online quicker than a photographer, so they can share, like, and look at them over and over until the pro photos are ready. But whatever you do, if you want my opinion, ipads should be banned no matter what!